The Downingtown Fire Dept. 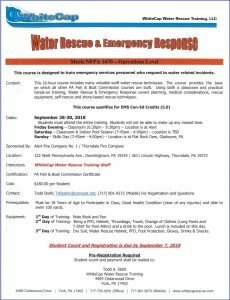 Water Rescue Team and the Thorndale Fire Co. are co-hosting a WRER (Water Rescue & Emergency Response) training on September 28, 29, 30, 2018. The training will take place at the Alert Fire Co. No. 1 on September 28th, at the Thorndale Fire Co. on September 29th and at the Flat Rock Dam in Gladwyne on September 30th. 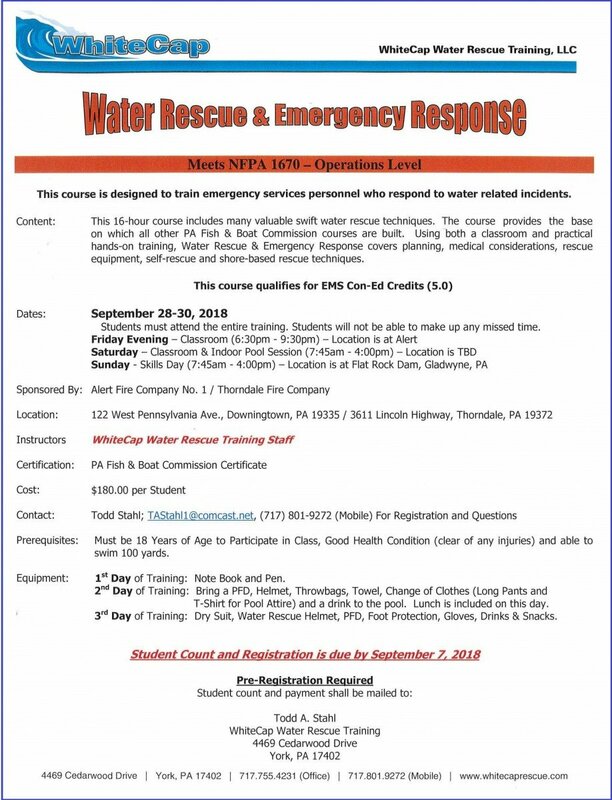 The instructors will be WhiteCap Water Rescue Training, LLC and each student will receive certification from the PA Fish & Boat Commission. Please see the attached flyer for details and registration is due by September 7, 2018.